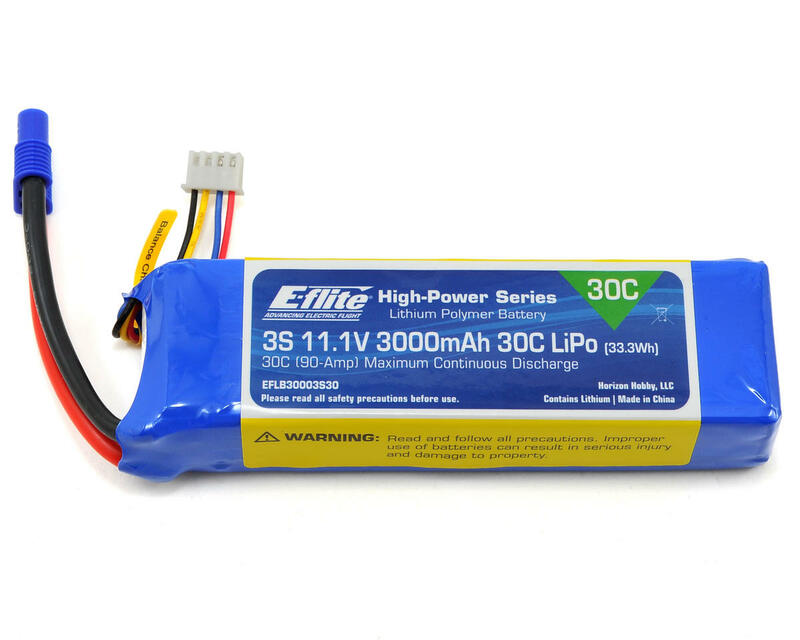 This is a replacement E-flite 3S 11.1V, 3000mAh 30C Li-Poly Battery Pack, intended for use with the 350 QX2 Multirotor. 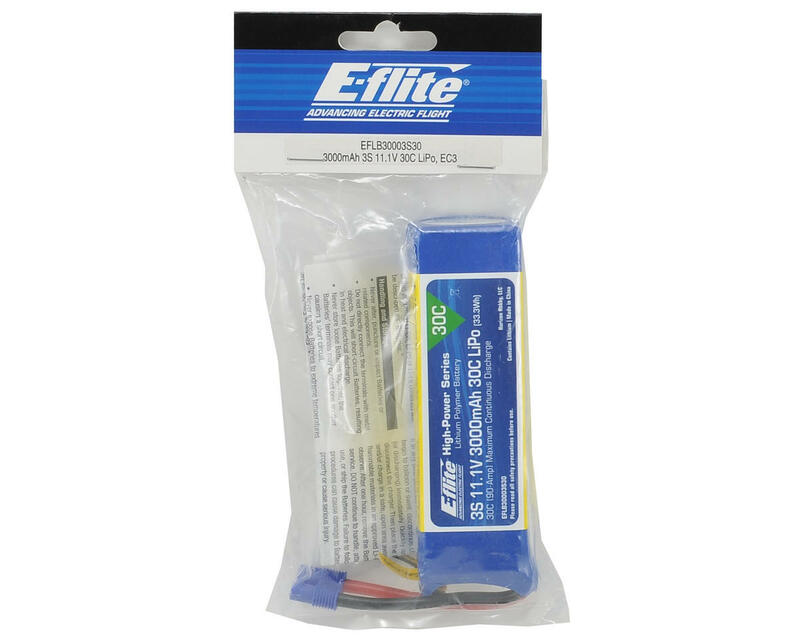 E-flite High-Power Lithium Polymer Batteries offer an excellent blend of weight, power and performance. Available in a wide variety of capacities and voltages, there’s a battery perfect for almost any application from indoor slow flyer to large-scale sport and aerobatic airplane models, as well as micro to mid-sized helicopter models. WARNING: Lithium Polymer (Li-Po) batteries are significantly more volatile than the alkaline, Ni-Cd or Ni-MH batteries used in RC applications. All instructions and warnings found on the inside of this card must be followed exactly. Mishandling of Li-Po batteries can result in fire.